Brazilians have joked that they’re lucky they don’t have to deal with natural disasters like hurricanes, tornados, or earthquakes. Instead, they have been plagued with a staggering pondage of corruption that cannot be cleaned up. Corruption has become so normalized in Brazil that many Brazilians are not surprised by this morning’s detaining of former President Luiz Inácio Lula da Silva, due to alleged involvement in the Petrobras scandal. Yet other Brazilians are furious of such harsh accusations directed against the former political leader. Despite the fact that he is a former president, to many Brazilians this announcement is seen as unfortunately just another politician involved in another corruption scandal. This normalization of tainted political figures is highly problematic when every new entering candidate levels his or her own stance to stop this vicious corrupt cycle. Such high expectations are not turned into action as these candidates also become a part of the corruption cycle. 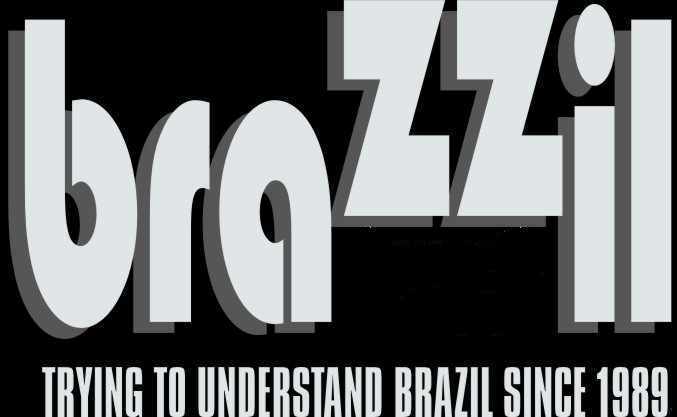 While political pressure in Brazil has recently been extremely high, especially regarding the Lava Jato (Car Wash) investigation on the involvement of numerous government officials in the Petrobras scandal, this week of relevant issues in Brazil has pushed political tension to a new level leading many Brazilians to question: Where is the solution to correct this corruption curse? Former President Luiz Inácio Lula da Silva, who had continuously claimed that the public should believe in his innocence as a clean figure not involved in acts of corruption, was formally declared a suspect in the 10,000 billion reais (US$ 2.7 billion USD) Petrobras scandal. This Friday morning, March 4, the Brazilian Federal Police questioned the former president for three hours after raiding not only his house in São Paulo, but also his addresses in Bahia and Rio de Janeiro, his son’s home, and the Lula Institute. It was reported that police have 33 search and seizure warrants and 11 warrants for the arrest of “Lula,” his wife, his four children, and the head of the Lula Institute. The operation to detain Lula was ironically named “Alethia” – meaning “truth or disclosure” in Greek. While Lula’s representatives pushed for the public to know that he was only under suspicion and no final judgment was yet made, investigators in the operation stressed that they would not be intimidated by his high office. The Lula Institute claimed that Lula’s detention and the raids of his property are offensive not only to Brazil as a whole but to the rule of law, and it denied all of the current accusations towards Lula. The institute additionally accused prosecutors in the Lava Jato investigation as being a part of an “arbitrary, illegal and unjustifiable” act. Federal prosecutors that ordered Lula’s investigation are questioning if he received his two properties in São Paulo state as gifts from Odebrecht and OAS – two engineering firms currently under investigation for money laundering under the Petrobras corruption case. Despite original accusations, Lula announced just last week that with Brazil’s current unknown political state he was considering to run for president again in 2018 to address the many issues Brazil is facing. This comes as a surprise taking into account that he has already served two terms as president and will be 72 years old in 2018. The announcement was even more shocking considering that prior to this announcement and today’s detainment, the Lava Jato investigation had already put Lula in question regarding his engagement in the corruption scandal. Even though Lula became very popular as the first working class left-wing leader of Brazil after the dictatorship, polls demonstrated, during his announcement to potentially run for president, a sharp decrease in acceptance among Brazilians. Although corruption scandals such as the mensalão (big monthly allowance) did not stop Lula da Silva from getting reelected for a second term in 2006, the uncovering of the Petrobras scandal after he left office in 2010 damaged his reputation. A recent opinion poll, published on February 24, indicated that 70 percent of Brazilians considered him guilty of corruption. Conducted by MDA polling firm and sponsored by the National Transport Federation, the poll surveyed 2,002 people in 25 states in February and had a margin of error of only two percentage points, thus providing an accurate picture of Lula’s degree of disapproval among the citizenry. Although the outcome of today’s events are still pending and there is a lot unknown about Lula’s engagement in the Petrobras scandal, it is most likely that Lula’s approval ratings will continue to worsen. Today’s detainment of him, while a step in the right direction for cleaning up corruption embedded in Brazil, for the time being only further threatens Brazil’s stature. Many leftist Brazilians claim that the detainment of Lula is unjust and that his administration left quite a legacy for Brazil. During Lula’s eight years in office he established social programs that helped reduce poverty and inequality. He is well known for the implementation of Fome Zero, a set of social inclusion initiatives that includes poverty reduction strategies such as Bolsa Familia, which has been used as a model for other social programs in Egypt and some eastern European countries. The affirmative action quotas for higher education implemented under his administration were among other initiatives that enabled him to maintain his popularity. These actions, among many others, could remain in the memories of many Brazilians. So despite Lula’s latest alleged wrongdoings, there are still supporters who see the corruption accusations as either false or irrelevant. Increased political tension surrounding the corruption scandal will add to the pressure on current President Dilma Rousseff, who also faces accusations for involvement in the Petrobras scandal and could face impeachment. On top of what could be considered the largest corruption scandal the country has faced, Brazil still faces its largest economic crisis since the 1930s depression and a public health epidemic with the Zika virus, all while preparing to host the 2016 Summer Olympics in Rio de Janeiro. Even though Brazilians may not fear a natural disaster in the near future, they are dealing with vicious cycle of corruption, which has neither an immediate response nor an easy solution. “La Fiscalía De Brasil Acusa a Lula De Enriquecerse Con La Corrupción.” EL PAÍS. 2016. Accessed March 04, 2016. http://internacional.elpais.com/internacional/2016/03/04/actualidad/1457085729_531863.html. Watts, Jonathan. “Brazilian Police Detain Former President Lula in Corruption Inquiry.” The Guardian. 2016. Accessed March 04, 2016. http://www.theguardian.com/world/2016/mar/04/brazil-police-raid-home-former-president-lula-petrobas. Boadle, Anthony. “Brazil’s Petrobras Corruption Investigation Targets Lula.” Reuters. March 01, 2016. Accessed March 03, 2016. http://www.reuters.com/article/us-brazil-corruption-lula-idUSKCN0W33CE?utm_content=bufferc72d8. Zobel, Gibby. “Brazil in Crisis over Corruption Claims.” The Guardian. July 10, 2005. Accessed March 03, 2016. http://www.theguardian.com/world/2005/jul/11/brazil. “Lula Da Silva Mulling Return to Brazilian Presidency in 2018.” The Guardian. February 28, 2016. Accessed March 03, 2016. http://www.theguardian.com/world/2016/feb/29/lula-da-silva-mulling-return-to-brazilian-presidency-in-2018. Maceió. “Happy Families.” The Economist. February 09, 2008. Accessed March 03, 2016. http://www.economist.com/node/10650663. Júnior, Joã Feres, Verônica Toste Daflon, and Luiz Agusto Campos. “Lula’s Approach to Affirmative Action and Race.” NACLA. Accessed March 03, 2016. https://nacla.org/article/lula’s-approach-affirmative-action-and-race. “Scandal in Brazil: The Petrobras Affair,” The Economist, accessed January 20, 2015, http://www.economist.com/blogs/americasview/2014/09/scandal-brazil. Mercedes Garcia and Rachael Hilderbrand are research associates at the Council on Hemispheric Affairs (COHA) – www.coha.org. The organization is a think tank established in 1975 to discuss and promote inter-American relationship. Email: coha@coha.org.